Our company is emerged as a prime , manufacturer and trader of an impeccable range of Jainson AC-DC Cooling Fans. These are offered products are made by making use of supreme quality required raw material in accordance with the defined parameters of the industry, reflecting their high standards. This is a CE Certified product. 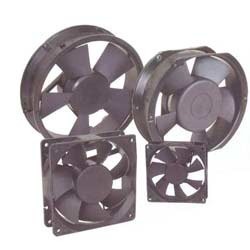 - We manufacture best of AC Cooling Fans in market. Our Industrial Cooling Fan are made of using the advanced technology and with the efficiency of an impeller along with an external rotor motor, we have been able to achieve new standard of air performance and sound levels. The range is suitable for either supply or exhaust applications. Since our inception, we are committed to providing sturdily built Cooling Fan. Following ongoing demands of the industry, we are passionately engrossed in offering our clients with a quality approved range of AC Cooling Fans. To fulfill the diversified needs of our prestigious patrons, we are highly engaged in trading a wide range of Cooling Fan. 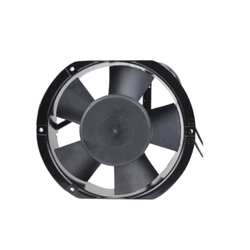 We have all the ratings and sizes of Cooling Fan. We are suppliers of control panel accessories. We have the entire range of products used in control panels. We have gained a huge appreciation in the market by offering an excellent array of AC DC Cooling Fan.